When I turned 12, I specifically remember telling my mom on the way to Toys R Us that when I get my driver's license, she'll no longer have to make the trip with me anymore. Her response: "Well Dan, when you're old enough to drive, I think you'll probably be a little too old for toys." Some people can be so naive. 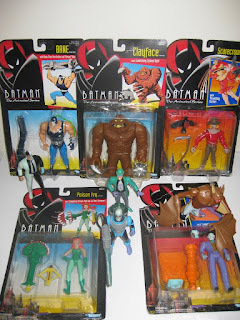 I thought of this story today (two days after turning 30), when I spent some of my birthday money on a couple of Batman the Animated Series carded figures. This is coincidental because those were the exact same things I was buying on my 12th birthday. In the last 18 years, the only maturing I've done is that I now keep them in the packaging like an "adult." It's too bad my mom won't be around to see me turn 80. I think she'll really be impressed when I turn my electric mobility scooter into a miniature Batmobile. 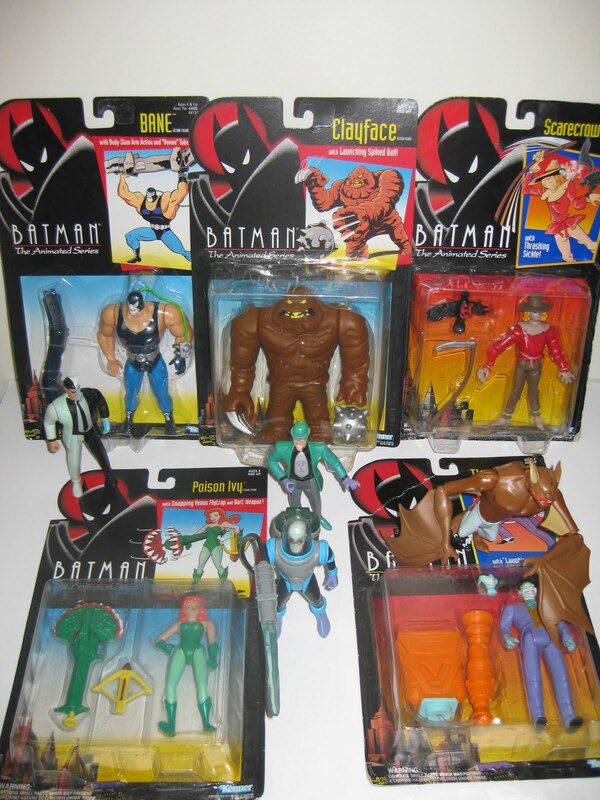 "Quickly Robin, fetch me the Bat-Colostomy Bag!"